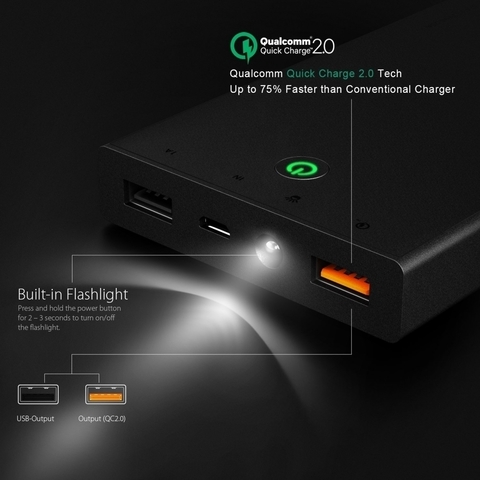 Powerful with Qualcomm Quick Charge 2.0 port + 5V 1A AIPower Smart port. 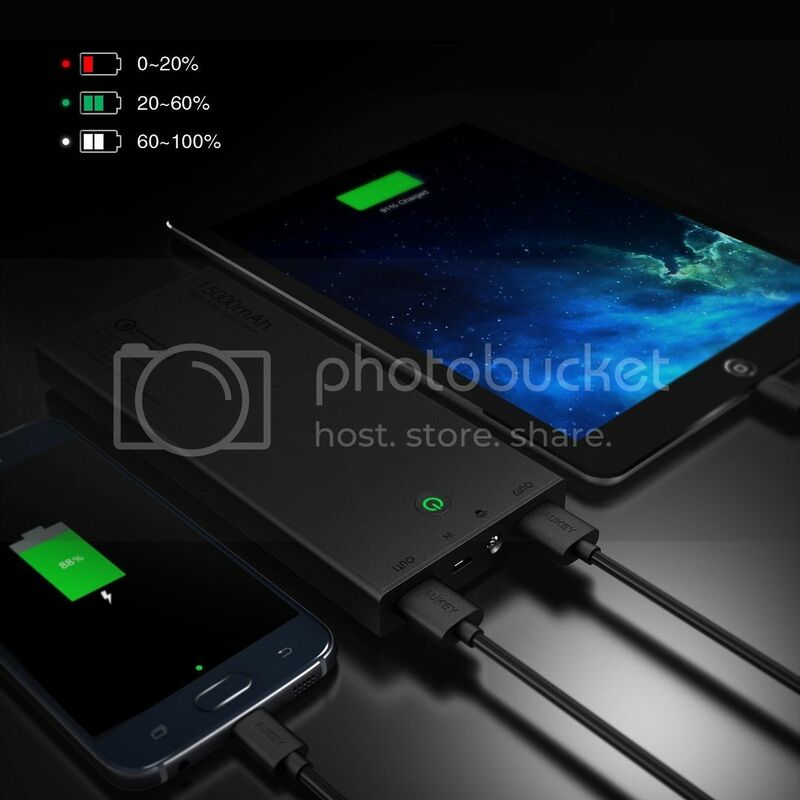 15000mha juice charges your phone up to 7 times. 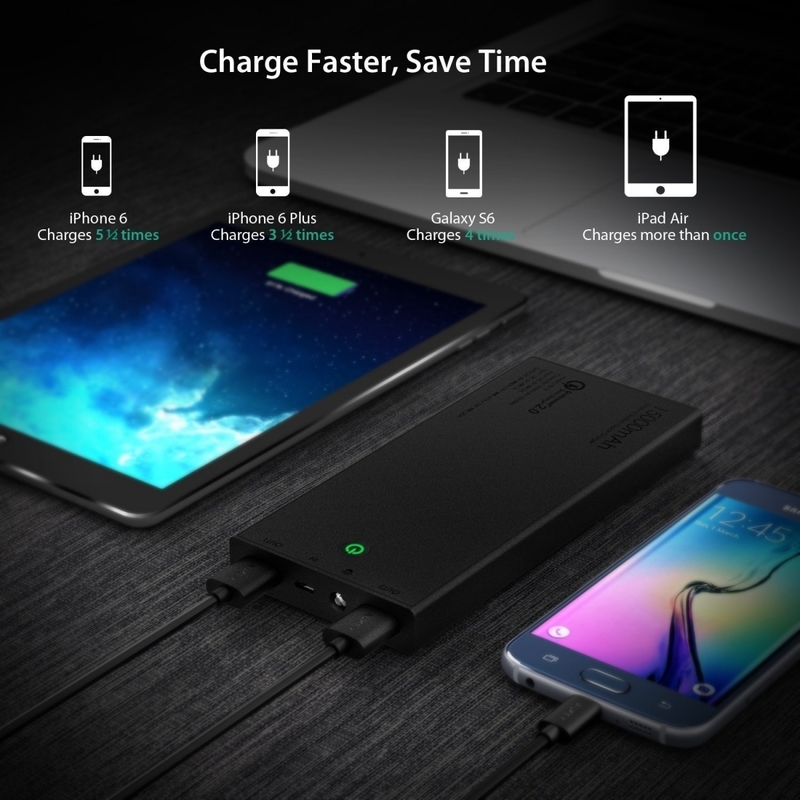 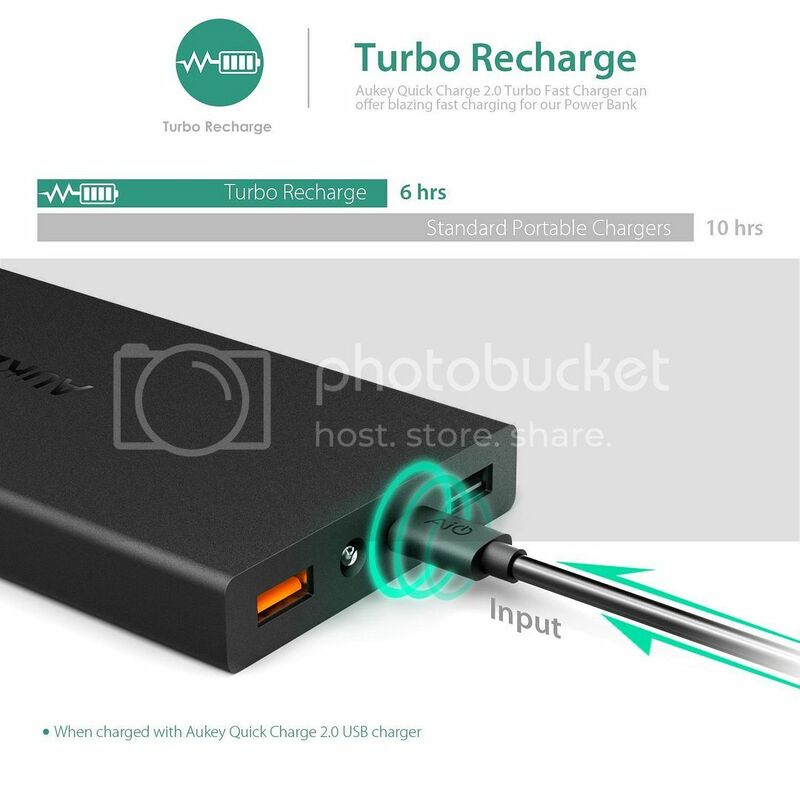 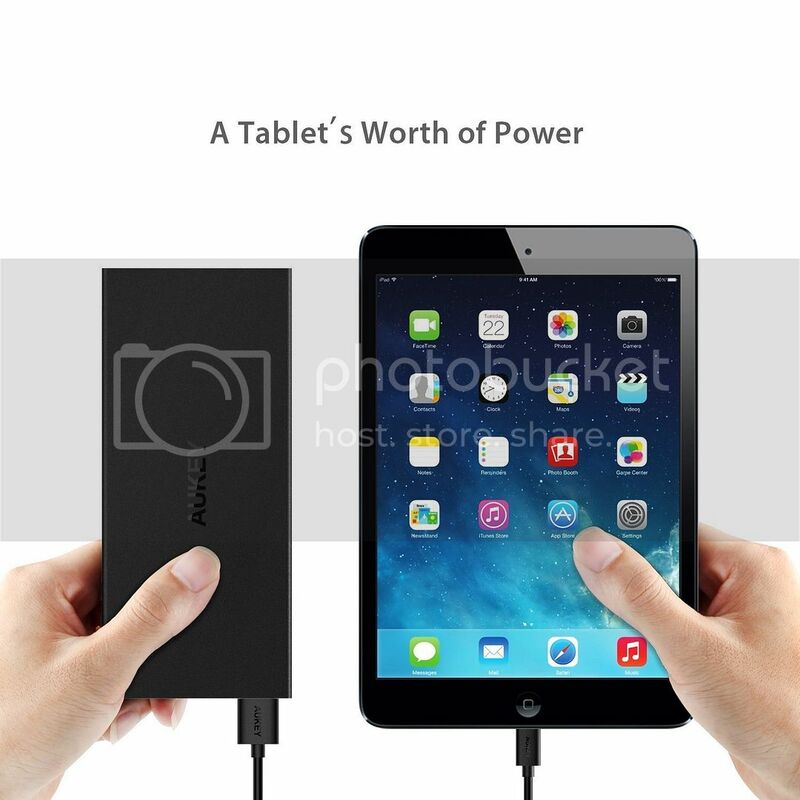 Package Content: Aukey PB-T3 Quick Charge TM 2.0 Portable Charger, USB Charging Cable,User Manual,and full 18 Month Worry-Free Warranty. 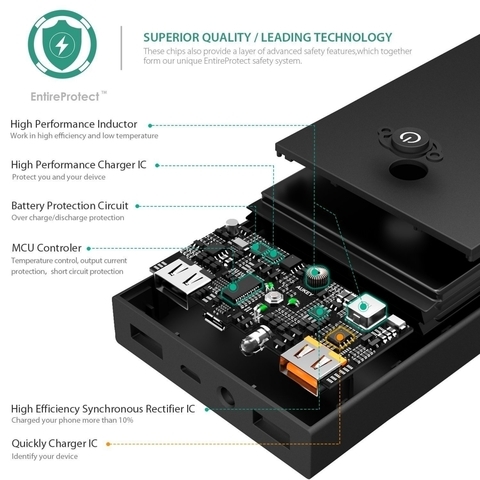 Developed by Qualcomm, the proprietary technology solution is built into devices powered by Qualcomm® SnapdragonTM processors, including the 200, 400, 600 and latest 800 series (including 810). With a compatible phone, laboratory tests show that Quick ChargeTM can charge a typical 3300mAh mobile battery from empty to 60%-75% in as little as 30 minutes. 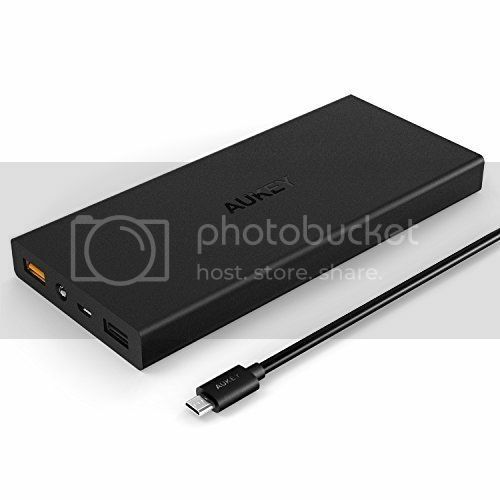 5V/1A Port is compatible with all 5V iOS, Android and Windows smartphones. 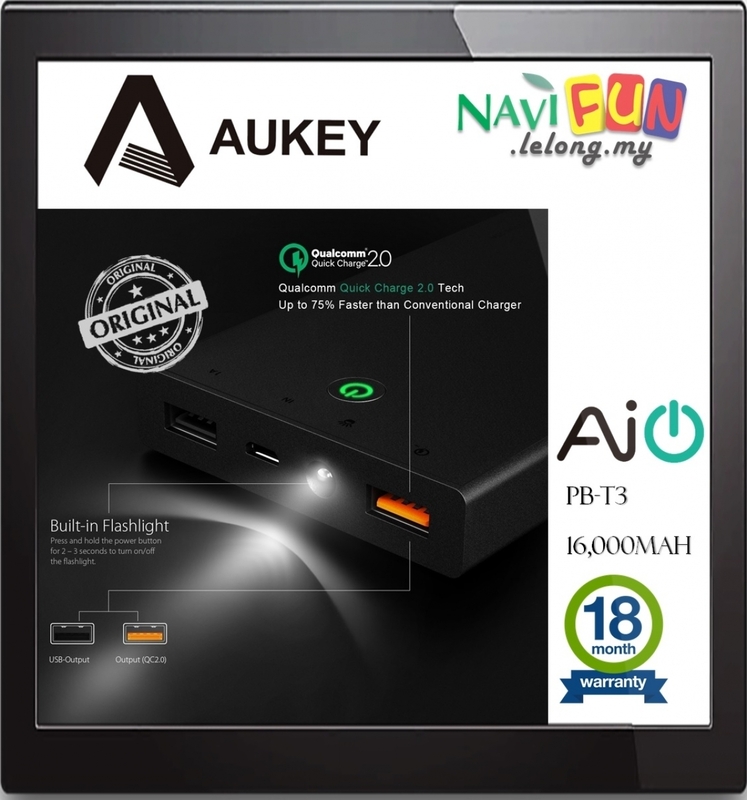 A Quick ChargeTM 2.0 enabled device must be paired with a Quick ChargeTM 2.0 certified adapter; Aukey is officially certified by UL Ventures on behalf of Qualcomm (link to Qualcomm Website). Multiple built-in safeguards fully protect against over-current, overcharging and overheating for safe and fast charging..